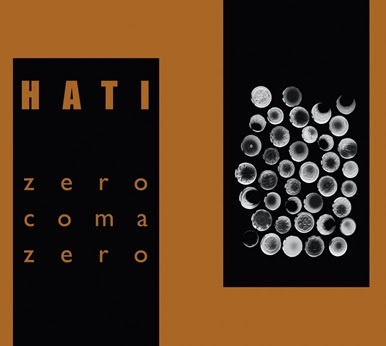 Two classic albums of Hati ensemble - joined forces of Dariusz Wojtaś and Rafał Iwański re-edited and mastered for beautiful Zoharum release. Initially I thought it would be rather a dreamy trip into the past as both albums were released almost a decade ago but not listening to it and having in mind the latest outputs of Hati it gave me a pure pleasure to rehinder it again. Acoustic sounds as they may seem have a lot to it. Minimalism of the themes developed by both musicians mastered by the idea which stem from La Monte Young's philosophy, not directly using the notation and the tuning per se but the mystical element that this minimalist composer traversed in his genre. Hati embellishes the hard surface of trance, makes the most out of the least means they use and they don't exaggerate with boasting themselves with the archeological tribalism which way too many times is just a prelude to shallowness.